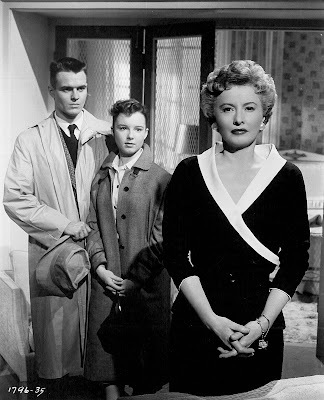 Hunter undoubtedly had a lot to do with the picking and shaping of the material, like a good producer but what Sirk brought to the party is easy enough to see. 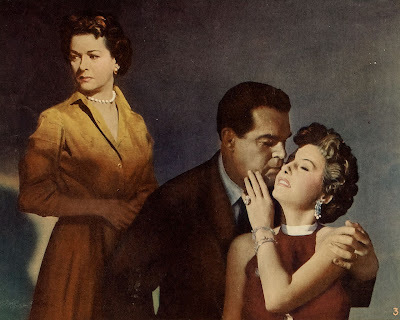 Try watching the 1966 Madame X, produced by Hunter and starring Lana Turner, but directed by the pedestrian TV movie hand David Lowell Rich. There's none of Sirk's air in that souffle. Does anyone care that Columbia released GIDGET and THE TROUBLE WITH ANGELS full screen? Or MGM released KISS ME KATE in full screen? 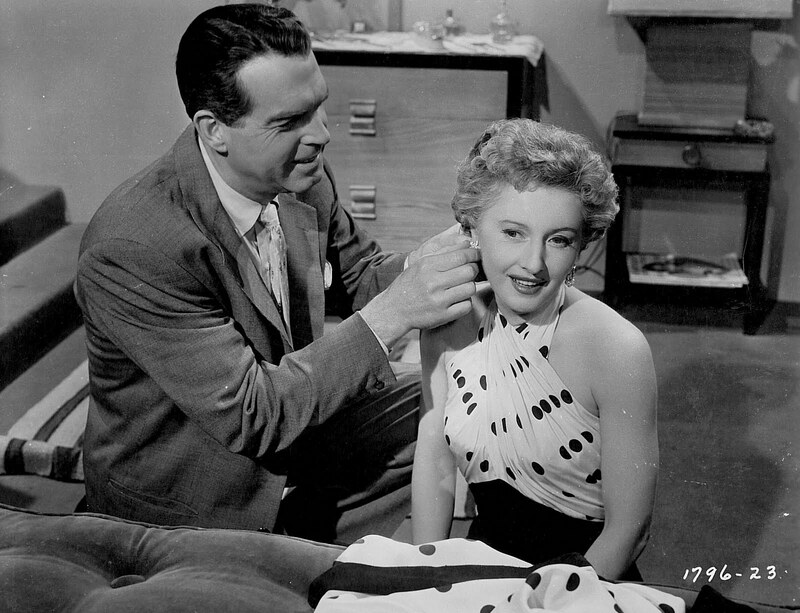 Thank you TCM for the wide screen versions. 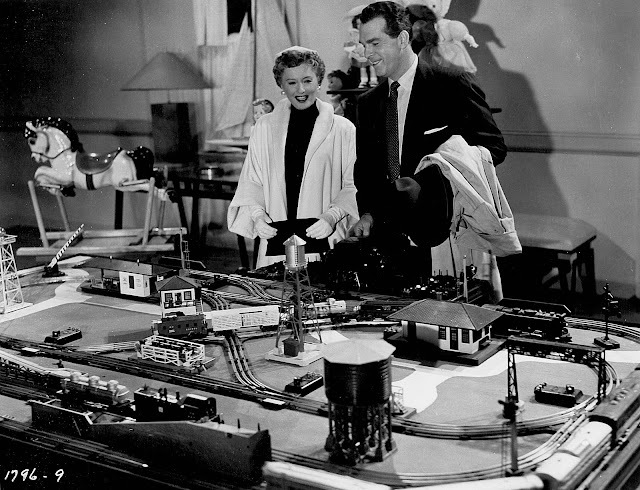 Michael, I agree that Sirk brought unique gifts to every film he directed, but was best served at Universal where he had production support to realize his goals plus good properties there he could remake (three of his best for UI had been done there in the 30's). Maybe Hunter needed Sirk more than the other way around, but they were a good combination, judging by films that resulted. Hey, so on my widescreen TV, couldn't I just pick one of the resizing options meant for widescreen movies, and cut There's Always Tomorrow off at top and bottom? That might work, Michael, according to your set. Let us know if it does. Hey, thanks for writing about this film. I'm happy to see it getting some love after so many years in obscurity... it's one of my favorites. I looked for the Masters of Cinema edition on amazon and it wasn't there... how did you find it? p.s. this is my first comment but I'm a regular reader and I love the site. 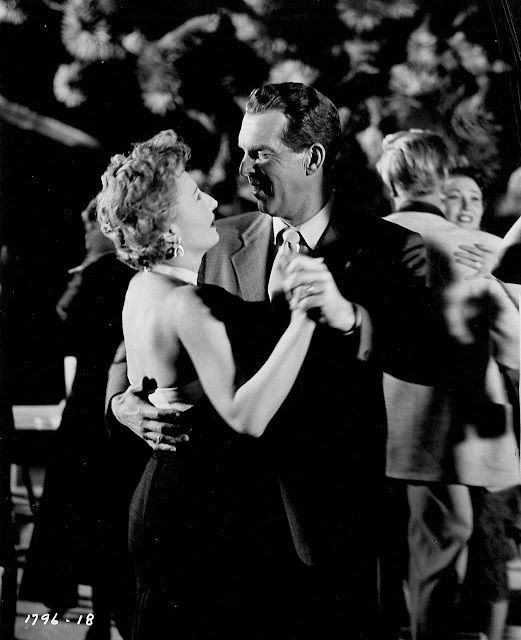 Reel change marks are present on the element used for the unmatted USA version, and they're obviously placed so as to be visible when the film was projected at about 1.85:1, i.e., they're about a third of the way down the right edge rather than in the upper right corner. 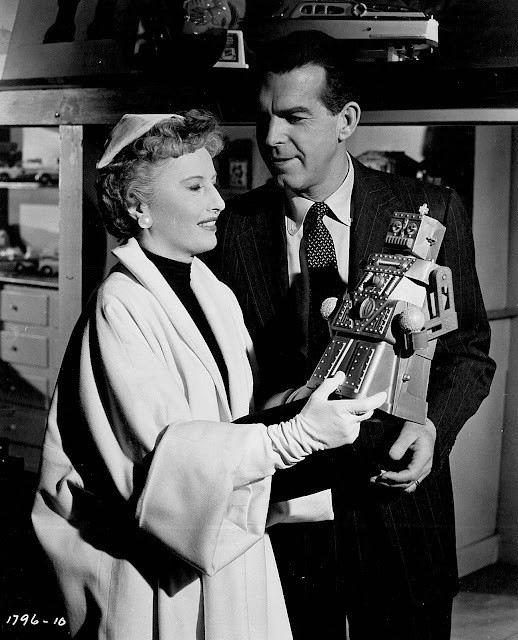 Incidentally, the toy Stanwyck is holding in the still (and which gets a couple of nice action close-ups in the film) is a "Robert the Robot," first produced by Ideal in 1954. It went through several versions and was copied extensively by Japanese toymakers. One of the original Ideals is currently on eBay with an asking price of $4600. Paul, I had no idea there was a "Robert The Robot." Thanks a lot for these links! And your point as to placement of reel change cues is further evidence that "There's Always Tomorrow" was intended to be shown on wide screens. Certainly by 1956, most theatres had transitioned to 1.85 projection (or thereabouts) for non-anamorphic shows. 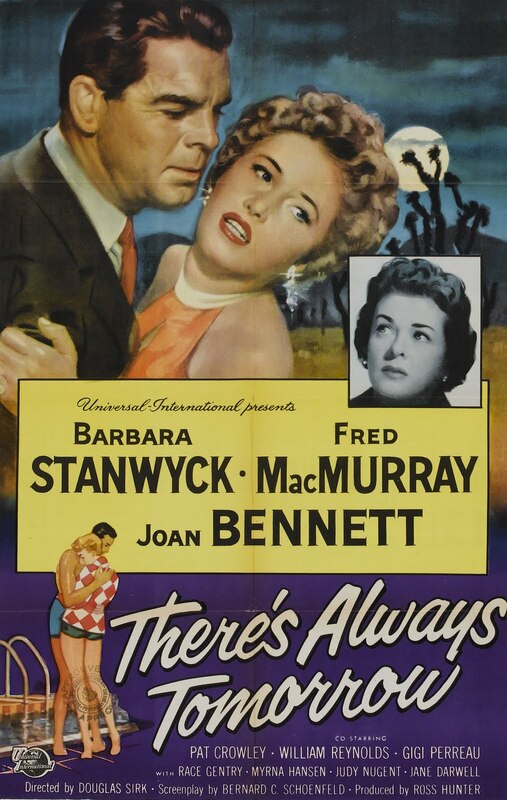 How nice to have come across your webbsite while searching for information about the film "There's always Tomorrow"! 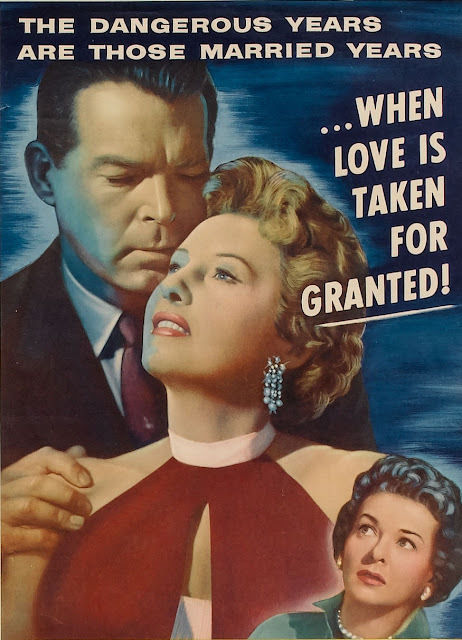 I love Fred MacMurray movies and knew most of them, but had never seen this little gem. I would love to buy the UK version of the DVD, but I don't have the means to play it. I am wondering if it would be possible to watch this DVD on the computer. What do you think? Greetings Cate --- I've never tried to play a Region Two disc on my computer, but something tells me it wouldn't work. You might be better advised to go ahead and pick up a Region Two DVD player. They tend to sell pretty cheap nowadays.